Apple’s legendary leader Steve Jobs revolutionised the smartphone when he launched the iPhone in 2007. 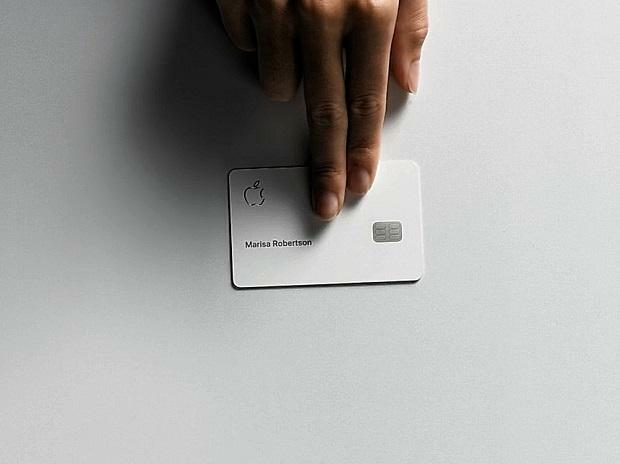 On Monday, Jobs’s successor Tim Cook launched a credit card, which is not even touch-enabled or foldable. Apple also launched a news aggregator and an updated video streaming platform. Where's the innovation, one might ask. Apple is the second most valuable listed corporation in the world, following Amazon. Its market capitalisation briefly crossed $1 trillion last year. It had $245 billion in cash in January 2019—enough money to buy Netflix and still be left with almost $100 billion. Big corporations arrive at an inflexion point in their lives. Many perish, some drag and a very few continue growing. As Apple's flagship product -- the iPhone-- loses shine on reports of slowing sales in China which is its biggest market, the company is seeking its next big jackpot. It has invested heavily in a self-driving car and the latest pitch is technology services. Technology was all about software and hardware till Jobs brought in aesthetics into the business. Design drives Apple products. The problem is: which design will gain traction and compel users to pay for is not easy to predict. Amazon, with its trove of data and revenue, could not make a dent in the cable TV business with Fire Stick. Google first failed with Orkut and then with Google+ when it joined the social networking battle. But one great thing about the technology business is its ability to scale up. A Big Tech company can gamble on getting into businesses that are new. However, even if one investment works out well for these companies -- like Amazon Web Services, a B2B cloud computing business that is estimated to be valued above $350 billion, has for the e-commerce giant -- they would be in huge luck. Quite a few technology companies that were once among the most valuable are not anymore so after making a large bet on a specific business. Cisco burnt a whole lot cash in consumer technology. Dell almost folded up its LCD television business. Intel's exit from its mobile phone business for fraction of its investment hurt it. Today's Big Tech is playing it safe by not putting all eggs in one basket. Goldman Sachs is bankrolling the Apple Card. Being the biggest investment bank in the world, it has unlimited resources to funnel into the project. That is a reasonable reason why the Card will be too big to fail. Apple Card will offer cashbacks on all transactions -- 3 per cent on purchase of Apple products and services, 1 per cent on in-store swipes using the physical card and 2 per cent when an iPhone is used. There would be no late fee penalties and Apple promised that interest rates would be low. So, where's the catch? Apple said at Monday’s launch that data regarding what users buy and how much they spend would not be stores in the company's servers. However, Goldman Sachs's statement about the card was a bit different. It has "agreed to not share or sell user data", reports the Wall Street Journal. This still leaves scope for the bank to ''use'' the data to model consumer behaviour for its own benefit. Important recap: The data will be mined from the "billion pockets" iPhones inhabit. Oprah Winfrey made the biggest statement in favour of Apple TV when she said: "They are in a billion pockets". Netflix, Amazon Prime Videos, and HBO can boast of millions of subscribers, but Apple has more than a billion iPhones already on the streets. For a company that has always had its way with other platforms to pay up for a place in its devices, compelling other video platforms to come under its umbrella and monetising that should not be rocket science. However, Apple's $1 billion kitty for orginal programming pales in comparison to the $10 billion Netflix is expected to spend this year according to reports. Investors.com says Amazon spent $4.5 billion last year on creating shows and films. Business Insider quotes the number for HBO at $1.5 billion. Reportedly, Jobs had been toying with the idea of foraying into television in a big way before his untimely death. Over the years, Tim Cook has faced a lot of flak from quarters and 'Apple fanboys' who think he has not lived up to Jobs' aesthetics or vision. The average age of a S&P 500 corporation is 60 years. If the Show Time launches actually pay off, the event could actually be the start of another epoch like the iPhone launch was -- Apple might become a services conglomerate defy the slowdown age has brought with it.